Election is the main pillar of democracy and democratic nations follow the process where people have a say on the variety of government that will safeguard all their interests. Therefore, the elected government leaders have a responsibility of ensuring that the country is run in the most efficient way which brings about prosperity. Meanwhile, a fair and free of any fraud elections guarantee people’s trust upon the elected government. The Afghan people have previously attended widely and voted in the presidential elections in 2014, however the voters faced major threats and their fingers cut by the militants. But their move showed that no one could prevent their will to vote for their desired President or parliament member. Despite of many security challenges and considering fraud in previous elections, the Afghan masses registered themselves to practice democracy in the country. 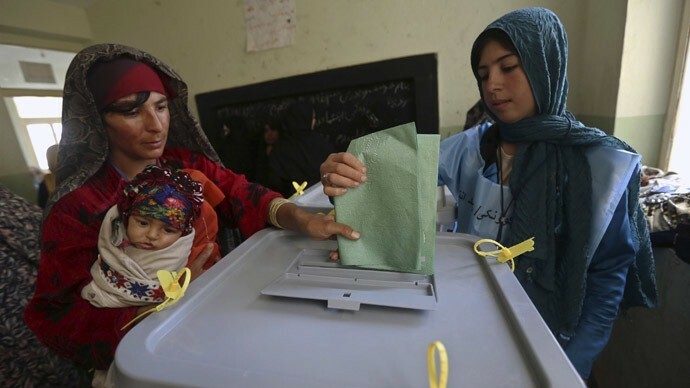 Around 8.9 million registered individuals, including more than 3 million women, are expected to vote in the parliamentary and district councils’ elections on October 20. Meeting members of Independent Elections Commission (IEC), UN Secretary General’s Special Representative to Afghanistan, EU ambassador and a number of foreign ambassadors at the presidential palace the other day, President Ghani and Chief Executive Dr. Abdullah asked IEC officials to announce the date of presidential elections and pave the way for monitoring the election process by political parties, civil society organs and national and international observers. Stressing that interference in election affairs is regarded as crime, President Ghani said the government would adopt necessary measures for prevention of interference of government employees in election process. The country’s President added that fraud and corruption in elections were crime in accordance to the law and should be prevented. Meanwhile the United Nations Security Council (UNSC) has underlined the need for the highest standards of integrity throughout the electoral process, adding all parties concerned should help ensure the election outcome reflected the will of the Afghan people. The UNSC meeting on Monday also called for a quick resolution of outstanding electoral issues, including the approval of candidates to fill critical vacancies within the Independent Election Commission and the Electoral Complaints Commission. Prosperity of Afghanistan depends on a fair and free elections and it is incumbent on IEC to make sure wishes of ordinary Afghans are translated in bringing real representatives of the people in the threshold of power and authority. No one and no organizations have the right to interfere in IEC and IECC affairs. If interferences are noted, IEC officials and commissioners should make them public without delays. People of Afghanistan support democracy and are the honest supporters of it. Let’s stand strong and committed to protect Afghanistan’s democratic institutions and the process.